What’s a Quest Bang? Well, I just found out that’s what the exclamation points that float over questgiver heads in games like WoW are called. I kind of love it, I won’t even pretend otherwise. 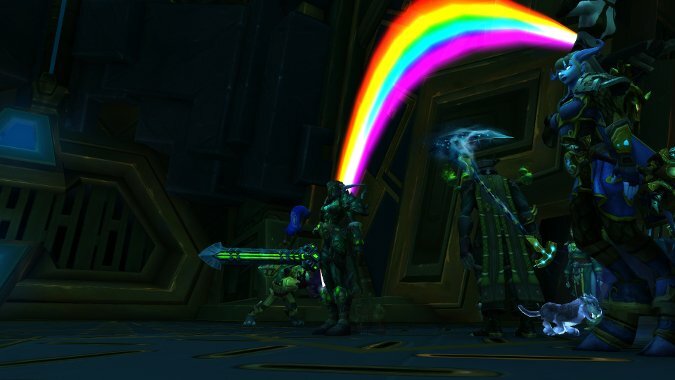 And yes, that is my Death Knight with a rainbow coming out of her head. Well, not really, but close enough.